AutoLight™ is a Light Transmission Meter that measures the level of light transmitted through a tinted window to determine its safety level. WANT MORE FROM A TINT TESTER? See AutoLight Plus™. 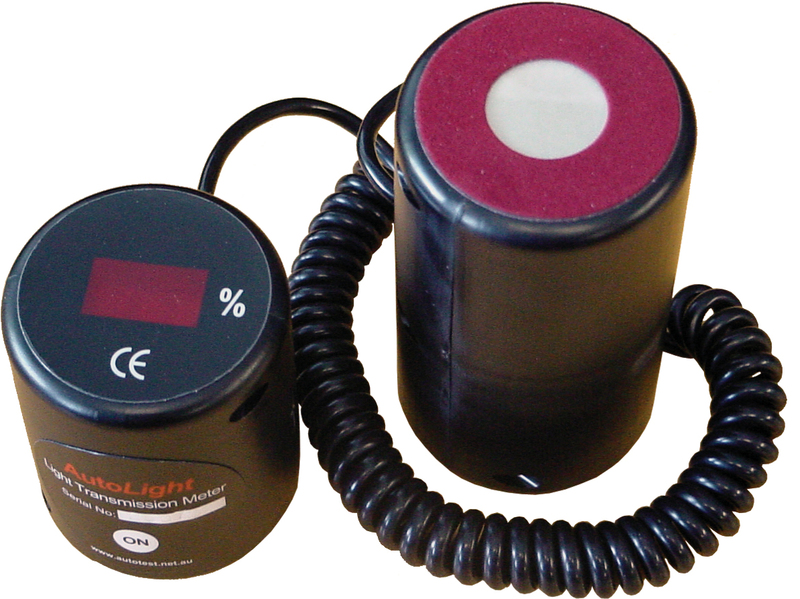 Autolight Plus has all the features of Autolight and also enables you to store up to 20 test results, and transmit results wirelessly via Bluetooth for download.